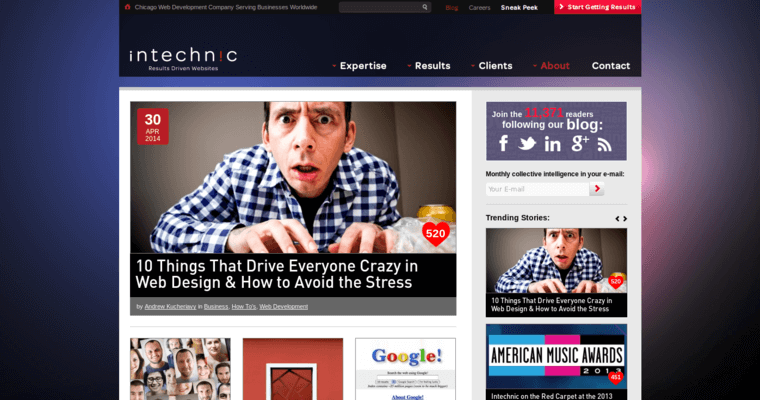 Intechnic is an international web development and design agency that's based in Chicago, Illinois. The company also has offices in Los Angeles, California, London, England, Melbourne, Australia and Toronto, Canada. The full-service company provides diverse online services to many organizations and businesses all over the globe. 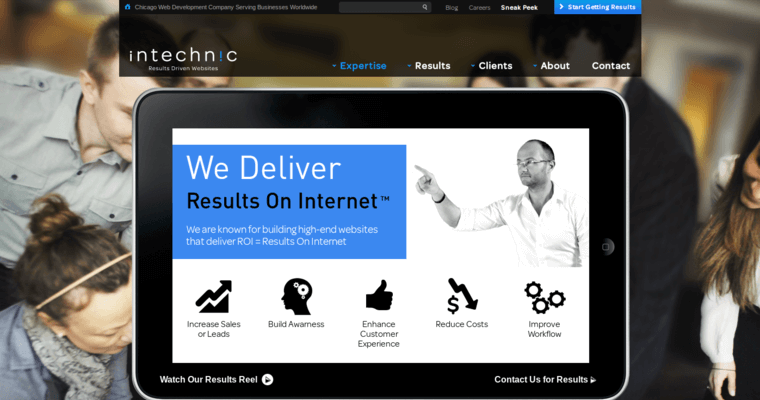 Apart from web development, some of the other services that are available at Intechnic are cloud hosting, mobile website development, eCommerce and webcams. 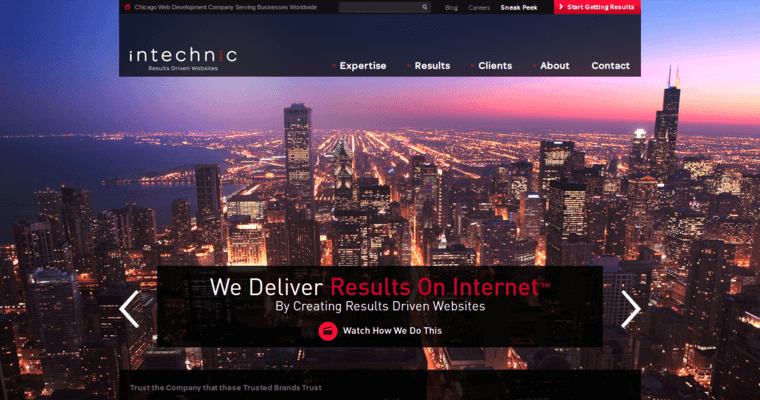 Intechnic has worked with many of the finest and most renowned brands on the planet. These clients include IMAX Theatre, Microsoft, Google, Disney, Sony, Kraft Foods, 3M, Madison Square Garden, First Midwest Bank, Janos Technology, Northern Trust, Dish Network, Lockheed Martin, Universal and 20th Century Fox. Andrew Kucheriavy is both the founder and CEO of Intechnic. Sasha Berson is the company president. Dmitry Andrejev is the vice president of development. Neil Humphrey, last but not least, is the vice president of sales.